About six months ago, our family of four downsized from a house of 2100 square feet to a home of 1550 square feet. Our new house cost less than just the mortgage on the other house. Although we were not able to sell the first house, the rental market in our area is strong so we are renting it out for a year, making a little money while continuing to build equity. We did all this so we would have more money to save and to give. We also intentionally moved into a neighborhood zoned for the “less desirable” high school so that we could make a difference there when our kids got to that age. While the latter may not happen because our long-term future is uncertain, we have still been able to accomplish the first two goals while we pray for direction about the future. Although our new house is technically 550 square feet smaller, it lives a lot larger than it sounds. 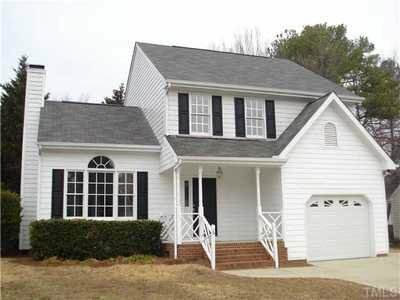 For example, the official square footage does not include a screened-in back porch or the spacious front porch. And I think the layout of our new house is about as efficient as I’ve ever seen. We have an eat-in kitchen, formal dining room, living room, three bedrooms, 2.5 bathrooms, and plenty of storage space including three walk-in closets and a large pantry. Lots of windows and high ceilings give the house a bright and airy feel. What we don’t have (and don’t miss) are long hallways, cavernous bathrooms, and two-story foyers. The boys share a room as they always have, and we keep our cars outside to use the one-car garage for additional storage. Meanwhile, I feel much less stressed about our finances. Besides the smaller mortgage and tax payments, we are saving $75-100 per month just on utilities. Repairs and renovations cost less as well. In exchange, we have been delighted to be able to pay off debt, to put more money into savings, and especially to give more. It has given us great joy to be able to give freely to others to meet various needs as they come to our attention. I feel as if my financial priorities have changed, that I look for opportunities to give instead of feeling hampered by our financial obligations. In addition, a smaller home has brought our family closer together. Our previous home had a huge bonus room in addition to the main living room. Often the boys would hang out upstairs while Dave and I would work downstairs or I would hole up in my office. Now we have to share space, and that’s not a bad thing. The boys can work on their computer while I work on mine in a shared office; they can play video games downstairs while Dave and I chat in the kitchen nearby. We have enough separation when we need it, but enough shared space that we are reminded of each other’s presence. We run into each other but end up congregating more. What about all our stuff? Well, we for years we have practiced a regular “possessions review,” taking inventory and giving away what we don’t use, so we probably have less stuff than similar families of our size and life stage. Still, living in a smaller space forces us to consider purchases more carefully, to maximize existing storage areas (the insides of cabinet and closet doors provide a wealth of additional storage! ), to continue to pare down our accumulations. I realize that being able to move is actually a luxury in this economy. Our family is fortunate to live in an area that has been fairly recession-proof, with a steady housing market. But even if you are not called or able to downsize your domicile, you can still downsize your lifestyle, your possessions, and your entitlements. What in your life is limiting your wise saving, generous giving, or living in shared community?